Chinatown in Downtown Honolulu is a place where you can see ethnic diversity in Hawaii. The Hawaiian Islands is a unique archipelago of cultural diversity. Being in middle of the Pacific Ocean, it’s no surprise that Hawaii’s population is a blend of many cultures. The United States of America is fondly referred to as a melting pot. But the state of Hawaii best exemplifies this with the widest variety of races and ethnicities. According to the census, of Hawaii’s residents 38.6% were Asian, 24.7% Caucasian, 10% Pacific Islander, 8.9% Hispanic and roughly 1.6% African. One can attribute cultural diversity in Hawaii to its rich history of immigration. The influence of Asian cultures on Hawaii dates back to the rise of the sugar industry. This was when the Chinese immigrated to Hawaii to work on plantations beginning in the late 18th century. The first arrival of Chinese immigrants marked beginning of cultural diversity in Hawaii. The earliest Chinese immigrants came from Guangdong province in southern China, primarily speaking Cantonese. By the mid 1800’s, there were nearly 50,000 Chinese immigrants making Hawaii their home. But instead of returning home, these people continued to stay in Hawaii after their work contracts expired. 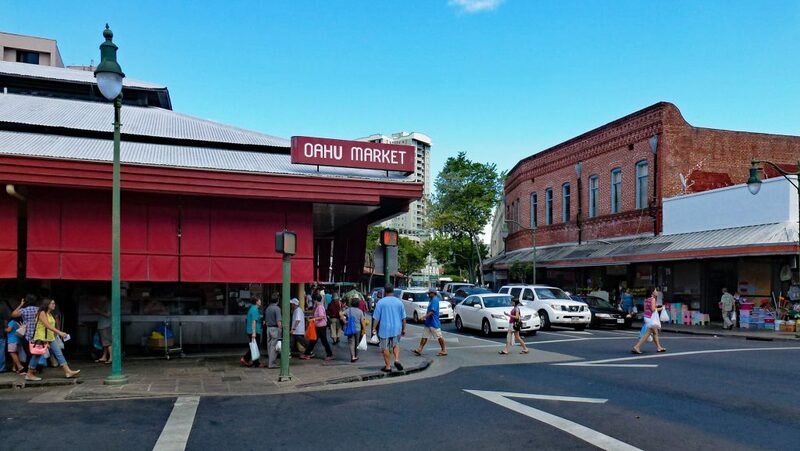 They then excelled in small business ownership and lived in areas such as Chinatown in Honolulu. Because the majority of Chinese immigrants were male, they often married into other ethnic groups, including native Hawaiians. The Japanese immigrated to Hawaii to work on the plantations in the early 1800s. However, from 1869 to 1885, Japan banned emigration to Hawaii. This is because it did not want their citizens to become foreign laborers. However, when the country lifted the ban, Japanese began settling in large numbers in Hawaii. As with Chinese immigrants, they tried to stay in touch with their heritage. They did this by sending their children to Japanese language schools. And they continued their cultural and religious practices of their home country. At its peak in 1920, over 40% of Hawaii’s residents were of Japanese ancestry. Because of this, it was not practical to intern Hawaii Japanese-Americans in relocation camps during World War II. But this was in stark contrast to the experience of Japanese-Americans living on the US mainland. Within the sugar industry, Filipinos were the largest ethnic group of all workers. Over 120,000 Filipino immigrated to Hawaiian between 1907 to 1931. Most came from the Illocos Norte region of Luzon, speaking the Illocano dialect, rather than the national language, Tagalog. Today, there are still significant numbers of Filipinos immigrating to Hawaii from the Philippines. As a result, Filipinos have become the largest single ethnicity, representing 25% of Hawaii’s population. Thousands of Koreans immigrated to the islands from 1896-1910. Although Korean immigration has been continuous, the first Koreans started immigrating during 1901 to 1905. Many worked on the sugar plantations. From 1911 to 1924, the Korean workers requested picture brides. And the resulting unions in Hawaii strengthened the Korean presence in the islands. Over time, the population of Koreans grew. So now, Hawaii now has a higher concentration of Korean-Americans than any other state. American Protestant missionaries came from New England in 1819. Their arrival had a profound influence on Hawaii and its people. Many schools, churches and institutions owe their existence today to Protestant missionaries. This in turn, also had a significant impact upon Hawaii’s leaders that attended such schools and institutions. Also, the missionaries were successful in converting Hawaiian royalty to Christianity. As such, they were also influential in ending the venerable Hawaiian kapu system of laws. American businessmen who moved to Hawaii became the principal driver of immigration. The sugar, pineapple and coffee plantations that they established in the 1800s required large numbers of laborers. This in turn, sparked the large number of immigration by other ethnic groups into Hawaii. This was because there were not enough people in local labor pool to support those industries. The need for labor in plantations is the main reason why there is cultural diversity in Hawaii. Portuguese immigrants arrived in Hawaii primarily from the Portuguese islands of Madeira and the Azores. Between 1878 to 1911, plantations employed upwards of 16,000 Portuguese. The Portuguese population in Hawaii continued to expand and blend with other cultures. Currently, there are over 48,000 people of Portuguese ancestry in Hawaii. In Hawaii today, there are almost 300,000 claiming some degree of Hawaiian heritage. The ancient Hawaiians are immigrants too as their ancestors came from Polynesia, principally from the Marquesas and Tahiti. They made the arduous journey across the Pacific to the Hawaiian Islands beginning in the 3rd century. At the time when the first Westerners first explored the islands, there were between 250,000 to 800,000 Hawaiians. As they were never exposed to them, Hawaiians were particularly susceptible to diseases brought in by foreigners. As a result, their numbers dramatically declined. Because diseases decimated the Hawaiian population, it compelled plantation owners to seek laborers from foreign countries. But as Hawaiians are the original settlers, despite smaller numbers, they have predominately shaped the island’s unique cultural base. Another one of the fastest-growing groups in Hawaii is Pacific Islanders. They mostly hail from Fiji, Guam, Tahiti and Samoa. Other than Hawaiians, Samoans are the largest group of Polynesians to have come to Hawaii. They grew steadily in numbers. So by the 1970’s, there were over 13,000 Samoans, the majority of which lived on Oahu. Currently, 28,000 people of Samoan ancestry live in Hawaii. Puerto Rican immigrants introduced Latin American culture into Hawaii. Immigrants from Puerto Rico began arriving as early as 1900 to work on the plantations. They worked hard and many intermarried into other ethnic groups. Today, there are nearly 30,000 people with Puerto Rican ancestry on the islands. Those with Puerto Rican roots make up the majority of Hawaii’s Hispanic population, which is reportedly on the rise.